Following a recent criminal complaint filed by a group of Turkish lawyers, the İstanbul Chief Public Prosecutor has launched an investigation into 17 prominent US figures including Senator Chuck Schumer, former US Attorney for the Southern District of New York Preet Bharara and former CIA Director John Brenan for alleged links to the Gülen movement, CNNTürk reported on Saturday. The prosecutor has started to investigate the details of a meeting of some of the “suspects” in İstanbul’s Büyükada on July 15 and Karaköy on July 17, 2016, the report said. 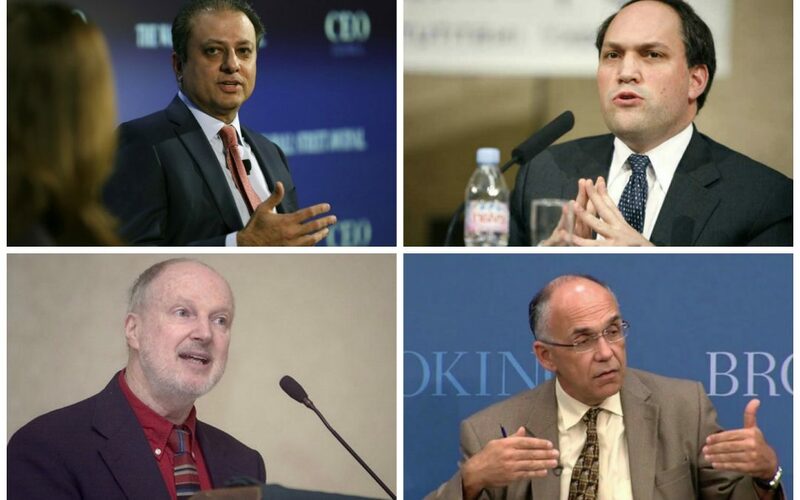 Mehmet Sarı and Rıza Saka are two of the lawyers who filed the criminal complaints against former US Attorney for the Southern District of New York Preet Bharara, US Senator Chuck Schumer of New York, Foreign Assets Control (OFAC) President David Cohen, President of the Turkic American Alliance (TAA) Faruk Taban, lawyer Zafer Akın from the Turkish Cultural Center, Kemal Öksüz from the Turquoise Council of Americans and Eurasians; Emre Çelik from the Rumi Forum, Michael Rubin, a resident scholar at the American Enterprise Institute and a former Pentagon official, former Turkish police chief Ahmet Sait Yayla, who currently resides in the US, Henri Barkey, director of the Middle East Program at the Washington-based Wilson Center, American political analyst Graham E. Fuller, Mahmut Yeter from the Mid Atlantic Federation Of Turkic American Associations, Talha Saraç from the Turkish American Business Network (TABN), former CIA Director John Brenan, Recep Özkan, Burak Yeneroğlu and Ralph Peters. Turkey survived a military coup attempt on July 15 that killed over 240 people and wounded more than a thousand others. Immediately after the putsch, the Justice and Development Party (AK Party) government along with President Recep Tayyip Erdoğan pinned the blame on the Gülen movement.